The Grapevine Wine Tour is a wine-tasting experience you won’t soon forget.Â You’ll sample vintages from three of North Texas’ most acclaimed wineries, each with its own unique history and charm. Â They will shuttle you from one fabulous tasting room to the next in climate-controlled comfort, while your tour guide recounts the history of wine-making in North Texas. You’ll also see Historic Grapevine, with its rich array of art galleries, shops and restaurants. Sure, you could take her out to Sunday brunch, or invite her over for dinner. 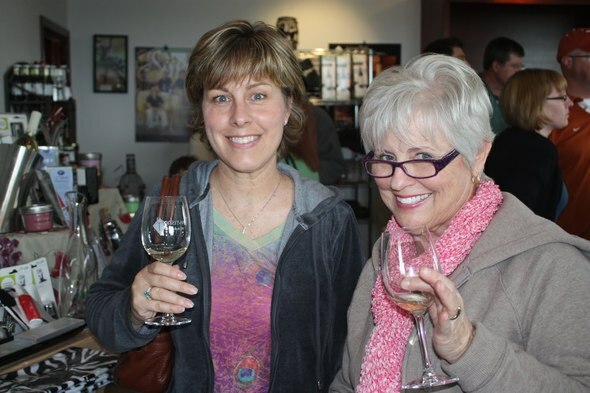 But why not treat Mom to something really special this year: a Grapevine Wine Tour.Â Seats are still available for the lunch excursion on Sunday, May 13, 2012… but they won’t be for long. Call Â 817.259.WINE (9463) or go online to book your tour. The Hilton DFW Lakes in Grapevine is just one of the local hotels offering special rates to Grapevine Wine Tours guests.Â What’s better than spending a fun and romantic evening on a Grapevine Wine Tour? How about settling in for the night at one of Grapevine’s finest hotels?Â Special overnight packages are now available with several area properties, including the Embassy Suites, Garden Manor B&B, Hampton Inn and the Hilton properties in Grapevine and Southlake.Â Check out the details on the Hotel Packages page, and let your next wine tour last all night long. Have you introduced your company to the Grapevine Wine Tour yet? They are getting more and more popular with conventioneers staying at local hotels, as well as local businesses looking to do something fun and unique for their best employees, customers, prospects and others. Call Grapevine Wine Tours for special rates and accommodations — including shorter or longer tours and off-site pickups. Homestead has been a frequent winner in the winery category since tours began in July 2010. This is the third time one of La Buena Vidaâ€™s wines has been recognized by our guests, and the second win in a row for its popular sangria. No other wine has won the award in consecutive quarters.